Actually, the dishes wouldn’t even get done, we’d be too busy playing. So cute! Her hair looks just like yours! Scott, this actually made me laugh out loud! oh i remember those days!! 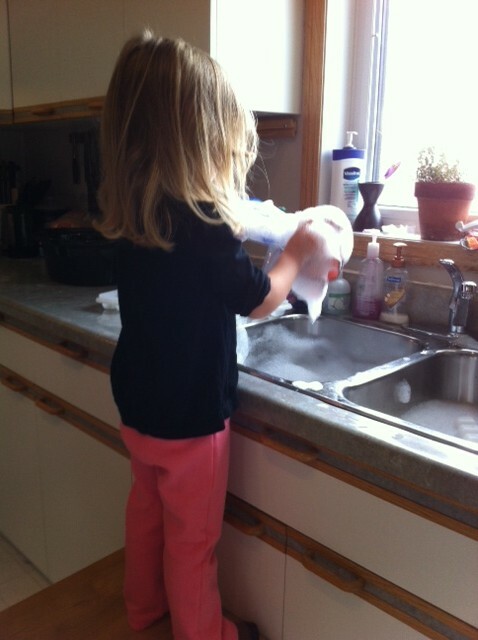 now it’s my granddaughter that wants to help! everything is “I wanna do it! !” they are so cute at this stage!